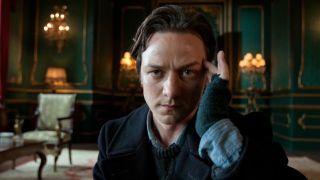 James McAvoy has a very good reason for why he doesn't want the X-Men to join the MCU – do you agree? X-Men and the MCU seems like a perfect fit, right? The upcoming Fox merger with Disney will potentially see the mutants, as well as a whole host of other Fox-owned Marvel characters, slide right on into new Marvel movies. One of the big stars of the Fox roster though, James McAvoy (Professor X) has poured cold water over the idea and, honestly, I don’t disagree with him. Speaking to Yahoo, McAvoy opened up about his doubts about the X-Men heading to the MCU, saying: “I don’t know if the X-Men could go into the Marvel universe, I’m not sure”. I mean, he’s not wrong. Part of the charm of the MCU thus far is that there aren’t many superheroes and that, as a result of that, each one is afforded the chance to shine in either their own standalone movies or as a large part of a franchise. If you continually expand the universe – say, by introducing the X-Men – the impact will inevitably diminish over time. Sure, it’d be cool to see Wolverine and Professor X lock claws and minds with the likes of Iron Man and Captain America but, for now, maybe it’s best to keep to heed McAvoy’s words and keep them entirely separate, lest you do too much too soon with what is already a very delicate balance. Do you agree with McAvoy’s take on the X-Men joining the MCU? Let us know down below! The X-Men still have at least one spot in our upcoming movies list, but could more be on the way?